NaviCare/SoinsNavi is grateful to families like the McGee-Leavitts, featured in this CBC interview, for sharing their story. Our goal is to help children like Jackson and his parents access the care they need. A big THANK YOU to our FUNDERS for making NaviCare/SoinsNavi and the work we do possible: New Brunswick Children’s Foundation, CIHR (Canadian Institute of Health Research), NB Health Research Foundation & In-kind support from UNB, NB SPOR Network & Mount Allison. SAVE the date! We are hosting a Canadian Healthcare Navigation Conference November 14-15, 2019. The first-ever Canadian Healthcare Navigation Conference (CHNC) will be hosted through a partnership between NaviCare/SoinsNavi at the University of New Brunswick (Saint John) and the Family Navigation Project at Sunnybrook (Toronto). The conference will be held at Hart House on the University of Toronto campus in downtown Toronto on November 14th - 15th, 2019. SAINT JOHN – On November 20th, we celebrate UN “Universal Children’s Day.” Communities are encouraged to celebrate the awareness of children and youth, especially their unique and special needs. “Every child should have equal opportunities to play and have fun regardless of their age, diagnosis, and ability,” says Hannah McGee, mother of two-year old Jackson, with complex health needs. “Special needs kids are like all kids, and deserve the same rights and experiences,” she reflects. As loving parents, the McGee-Leavitt family’s future once felt uncertain, given Jackson was born prematurely weighing one pound 10 ounces, spending 115 days in the NICU. While navigating the complex NB health care system, they began to feel hope in talking to a Patient Navigator from NaviCare/SoinsNavi, a free and personalized confidential service that provides help with care coordination, transitions in care, accessing services and resources, among other supports. The McGee-Leavitts encourage other families and members of the care team to contact NaviCare/SoinsNavi as it provides services that can be used by anyone, including youth, family members, and those involved in the care of children and youth with complex care needs. The Canadian Association of Pediatric Health Centres has released the final CAPHC Guideline for the Management of Medically Complex Children and Youth Through the Continuum of Care that was developed and written through their Complex Care Community of Practice. The CAPH is dedicated to improving and promoting health service delivery for Canadian children and youth across the continuum of care. A special thanks goes to the parent advisers: Mr. Darren Connolly, Ms. Stephanie Pasher, Mr. Neil Pasher and Ms. Amy Miville whose experience and guidance were foundational to the development of the recommendations. NaviCare/SoinsNavi wants to celebrate the success of one of our families! Marcus (pictured here with his younger brother, Jase) won the Music and Avid Reader award at his grade 5 graduation. Congratulations to Marcus and all the kids who are finishing their school year. We are so proud of Marcus for this amazing accomplishment! 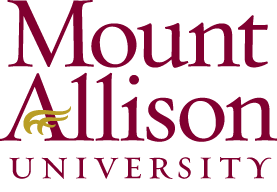 January 11, 2017 - Rima Azar is a professor of psychology at Mount Allison University and one of the lead researchers who helped develop the program and Sherry Vautour is a registered nurse and patient navigator for NaviCare. 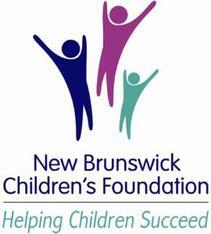 January 10, 2017 - Parents of children with complex health conditions now have a number to call in New Brunswick to get help accessing services.The NaviCare/SoinsNavi toll-free line will be answered in both official languages by a nurse who can help guide parents to medical experts and financial supports in the province. January 10, 2017: Navigating the health care system can be complicated and frustrated, even more so for families of children with complex needs. As Global’s Andrew Cromwell reports, a new service has been launched aimed at lessening that burden.